Why rent when you can buy this affordable 1 bedroom suite which includes an Open Concept living space with a cozy wood burning fireplace. The COVERED south-facing balcony can be used all year round with a backdrop of trees & a quiet lane. This home is TOTALLY RENOVATED with updated cabinets, rich laminates, crown moldings, white appliances, and a remodelled bathroom. The building is extremely well maintained featuring UPGRADED DOUBLE-GLAZED WINDOWS, FRESH EXTERIOR PAINT, & re-carpeted hallways. 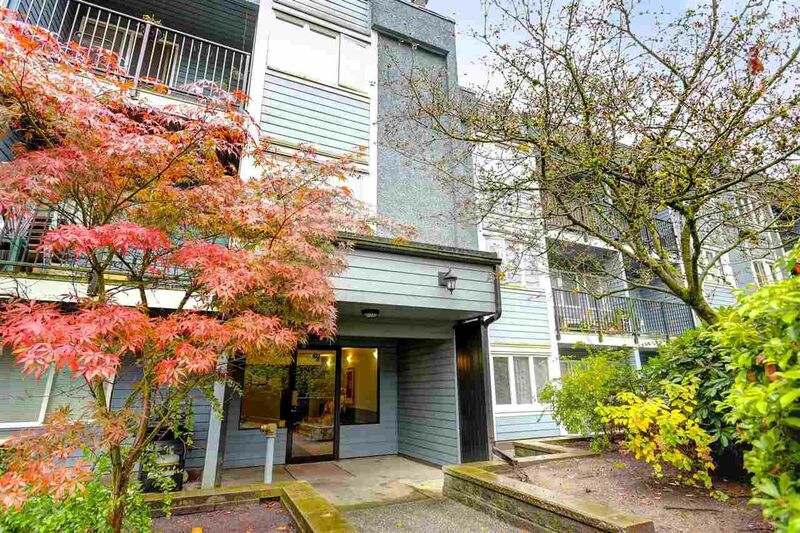 Situated in a superb neighbourhood right across from SCHOOL, & a short walk to SHOPPING, BLUE MOUNTAIN PARK, & SKYTRAIN. Only minutes to LOUGHEED MALL & S.F.U. Maintenance fee includes heat and Hot water!